At Kubota, our goal is to excel as an engine brand renowned for the steady supply of engines engineered to raise customer product value, offer applications spanning wide-ranging needs and regions, furnish options at various fuel and horsepower levels, and continue to earn the highest caliber of trust in our customers’ eyes. Top class in the world. The essential appeal of Kubota engines lies in their ability to address a wide scope of uses, while rising to the stiffest of challenges. Simply stated, the true charisma of Kubota engines, which are at the global cutting edge for small-size industrial diesel engines, comes from the sophisticated combination of high power density, onboard interchangeability, and multi-fuel drive. Adding to this our ability to satisfy multiple emissions standards in both developing and industrialized nations, Kubota engines offer solutions to the difficult issues faced by customers representing diversified uses and regions. Furthermore, with various specs positioned for both in-house mounting and external sales on the strength of models responding to the inevitably wide variety of market needs, Kubota fields a lineup that dramatically expands customer options. Series are supplied across six different models, ranging in displacement from a minimum of 479 cc to a maximum of 6,100 cc (in-house mounting only), and in output from 4 to 129 kilowatts. Besides examples of in-house mounting on tractors, combines, generators and other products, there are also extensive examples of mounting when it comes to external sales as well. That long list begins with our mainstay agricultural machinery, while going on to include backhoes, aerial work platforms, skid-steer loaders, dampers, utility vehicles, riding lawn mowers, sweepers, wood chippers, power generators, refrigeration equipment, forklifts, telehandlers, power generators for motor homes, mobile floodlights, scissor lifts and numerous other uses. State-of-the-art technology and support systems trusted worldwide. On the expertise of its under-19 kW (25HP) ULGE (Utility, Lawn and Garden Equipment Engine) specification diesel engines, Kubota achieved the world’s first-ever approval under the California Air Resources Board emissions regulations. This was followed by bold and pro-active measures to meet a steady stream of international emissions standards, leading the push to address Tier 2 and Tier 3 standards, and then Tier 4 standards issued by the Environmental Protection Agency of the United States. 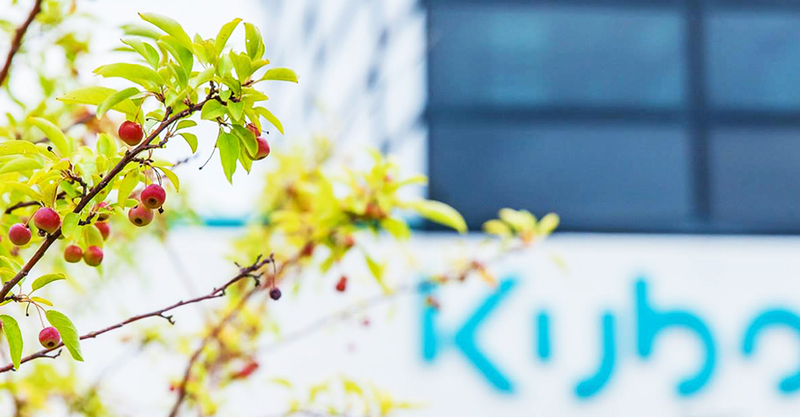 Furthermore, Kubota has already established technology that satisfies the demands of Tier 5 standards in Europe, which has gone into force in 2019 and 2020. Our sales bases for these engines now operate out of eight locations in North America, Europe, Asia and Australia, while we have also established a total of around 400 service outlets worldwide. In this way, a comprehensive product supply and service network has been built up in nations and regions around the globe. Unwavering in our continuing mission to always lend a keen ear to customer demands and requirements, the Kubota engine development and manufacturing teams continue to closely coordinate from the design stage in pursuit of the integrated tooling of products instilled with uncompromising quality. This stance will be accompanied by the redoubled honing of our competitive strength and the application of our exclusive, cutting-edge technologies in the ongoing supply of meticulous services in the quest to achieve the status of a full-fledged Global Major Brand (GMB).